Martin McAleese, the husband of President Mary McAleese, has received an honorary degree for his work on reconciliation in Northern Ireland. The University of Ulster degree was conferred on Dr McAleese at a ceremony in Belfast City Hall this morning. Mr McAleese, a qualified dentist and accountant, is a native of east Belfast. 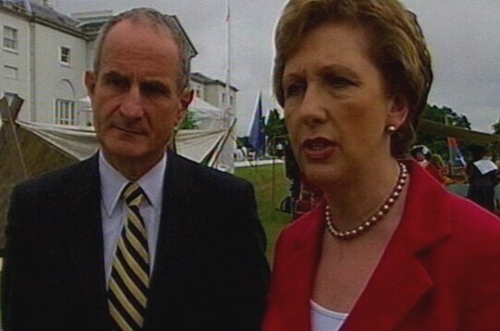 Since his wife was elected president in 1997, the McAleeses have sought to build bridges with the unionist community. They frequently welcome groups from loyalist areas to Áras an Uachtaráin. Dr McAleese has been involved in some of the most controversial work. He forged links with loyalist paramilitaries. He often persuaded wealthy businessmen in the Republic to fund community projects in loyalist areas. The honorary degree is in recognition of his contribution to North-South relations and inter-community reconciliation.